Hello members! Here we give you a last-minute offer to Ho Chi Minh Cit (Vietnam). Vietnam Airlines offers at the moment very cheap flight tickets to Ho Chi Minh City (Vietnam) from only €414 for a round-trip with departure from Frankfurt (Germany). Ho Chi Minh City (commonly known as Saigon) is a city in southern Vietnam famous for the pivotal role it played in the Vietnam War. It’s also known for its French colonial landmarks. Travel to Vietnam to discover this underestimated Southeast Asian gem. The flights are carried out nonstop with a Boeing 787 Dreamliner. In both directions, these are overnight flights. You can only book directly with the airline. Just let Skyscanner forward you there. The final price is then displayed in Vietnamese Đồng. Please note that credit cards may charge a foreign service charge. Make sure you take this perfect opportunity to fly with very low price to Vietnam. Vietnam is a paradise for both the outdoor adventurer and city explorer alike. 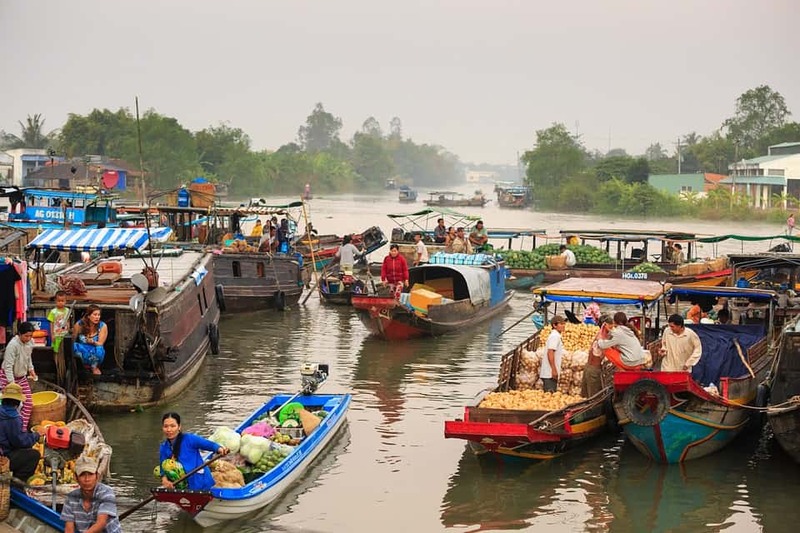 Winding down 3,444 kilometers of coastline from the northern Red River Delta near the Chinese border to the Mekong Delta at the southernmost tip of the Southeast Asian peninsula, Vietnam is a splendid blend of picturesque coastline and lush inland terrain. The region’s history of conquests and wars makes travel to Vietnam today a rich and rewarding experience during this time of precious peace. Due to the country’s broad north-south range, Vietnam is a wonderful country to explore any time of year. The sheltered forests and increased speed of the coastal cities offer an invaluable variety for a perfectly balanced journey.